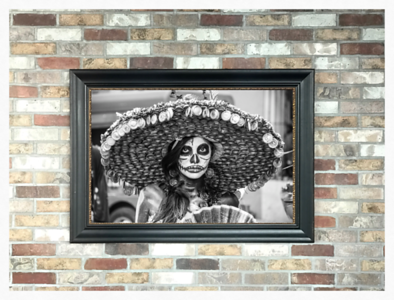 This is the collection of images featured in the Día de los Muertos exhibit at the Mestizo Institute of Culture & Arts gallery in Salt Lake City. 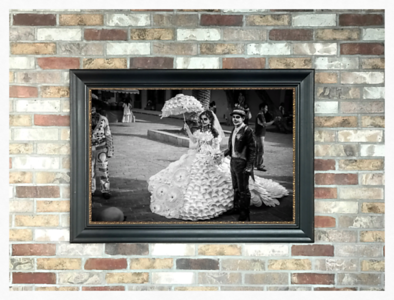 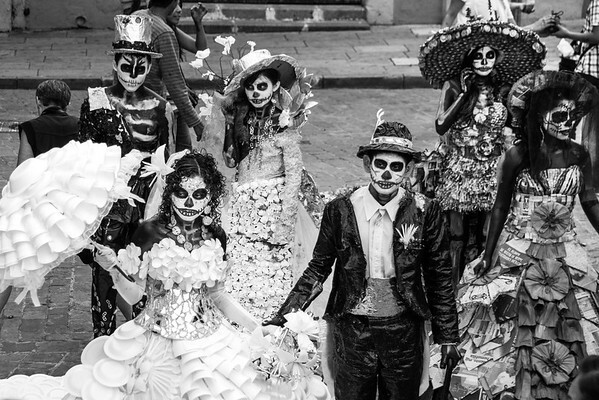 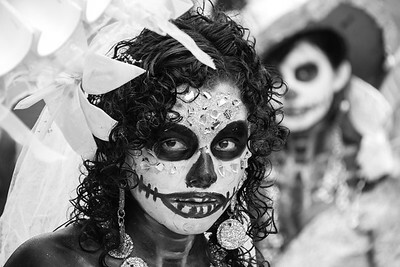 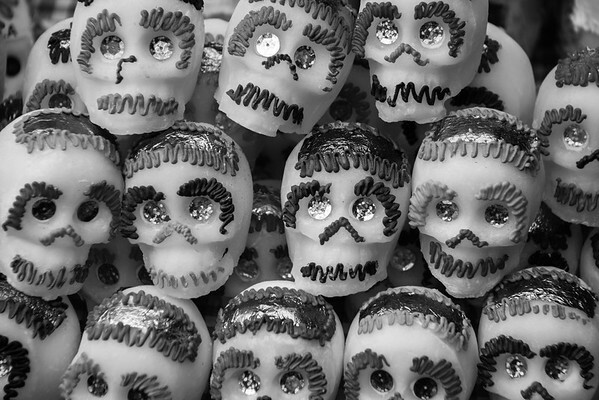 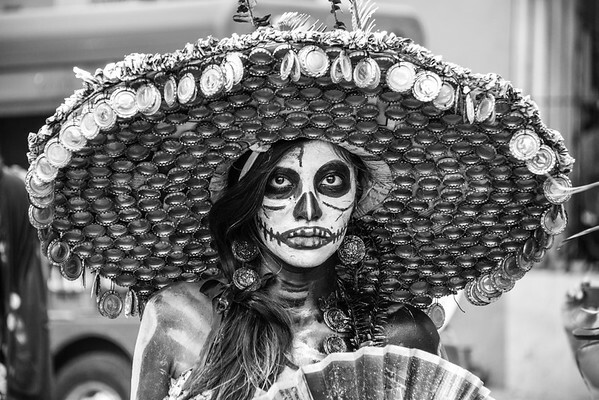 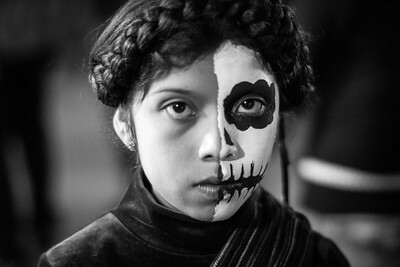 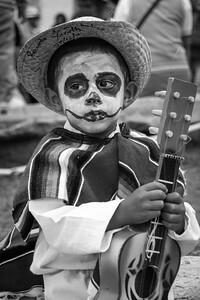 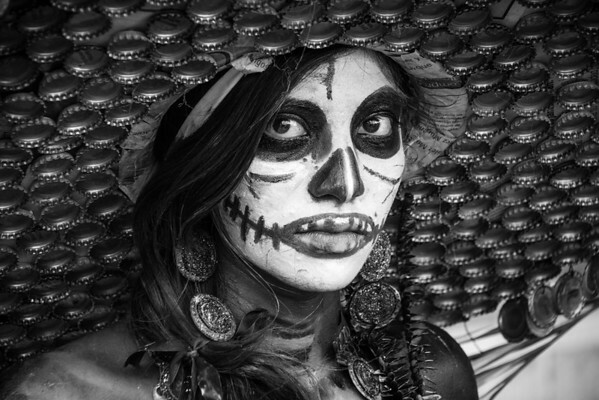 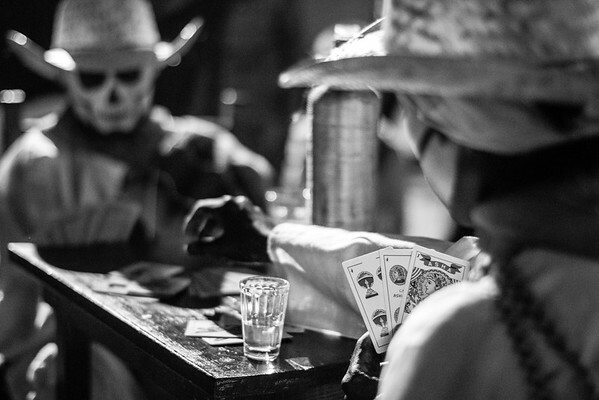 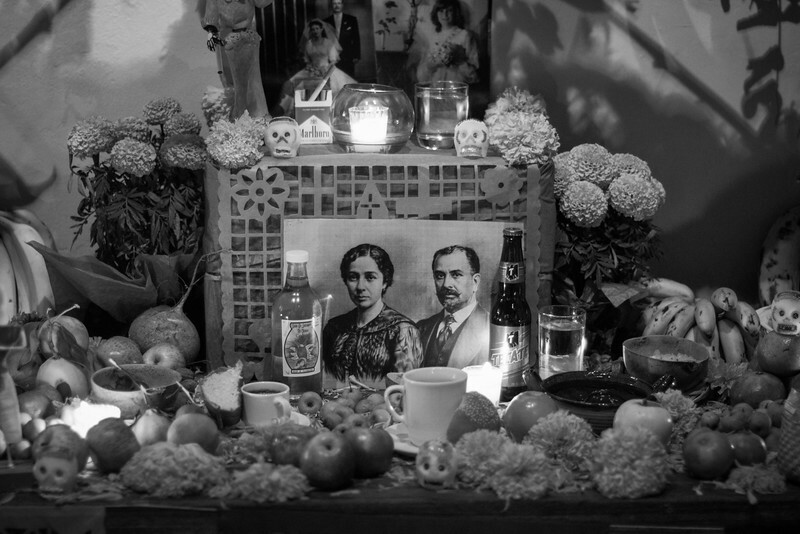 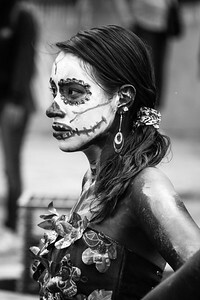 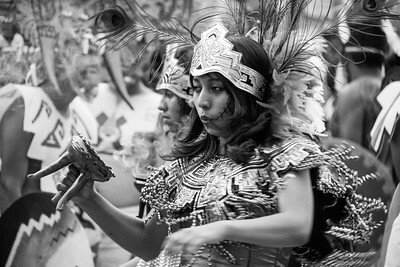 This is a collection of limited edition black and white pieces captured during the Día de los Muertos festivities in Oaxaca, Mexico in 2012. 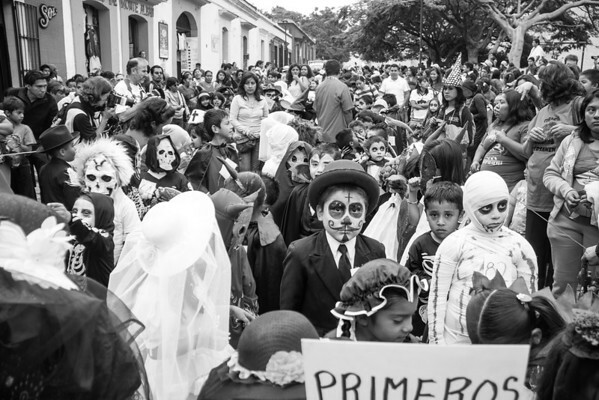 This particular set of images captures two of the many parades through the Oaxacan streets from the Santa Domingo Church to the Zocalo (town square) and features the art students from the local university during the annual costume competition, as well as images from the children’s parade the following day. 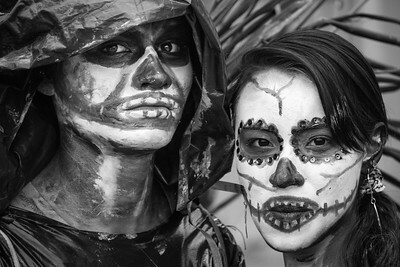 The art students demonstrate beautiful creativity through their costumes as art, and in their abilities in performance street art. 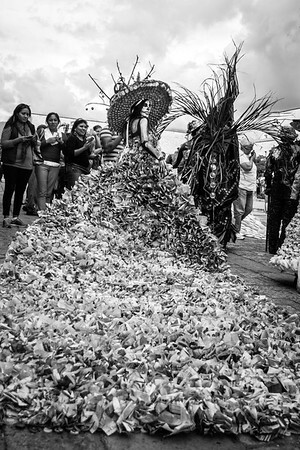 The materials chosen for their costumes are re-purposed and natural materials such as broken glass pieces, sesame seeds, marigold flower petals, bottle caps, newspaper, cardboard, styrofoam, and my favorite; a 15 foot long dress made from newspaper machete and a beautiful sombrero decorated with hundreds of bottle caps shading the students striking eyes. 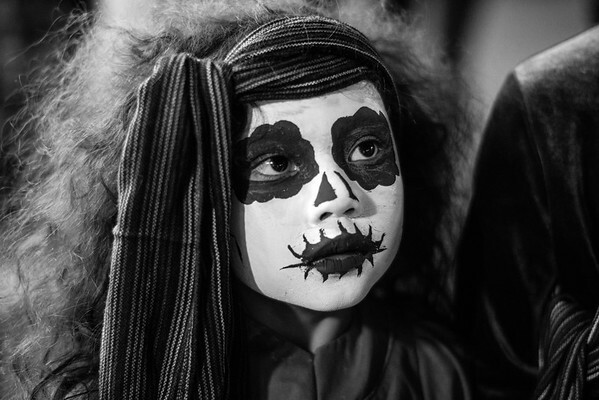 The children also demonstrated an impressive ability to maintain solemnity and pose despite the tremendous energy and noise of the other festivities surrounding them. 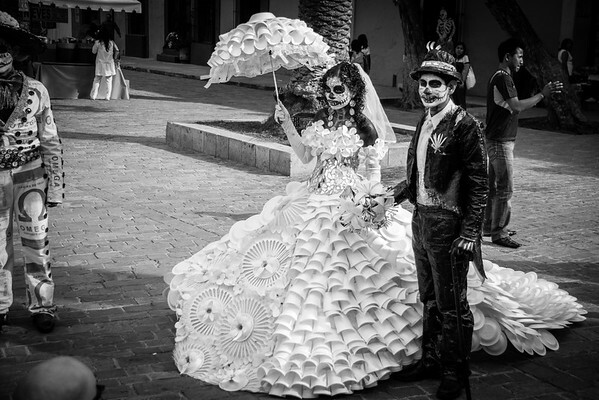 All and all, it’s was a beautiful blend of costume and performance art, surrounded by a rich cultural tradition of honoring ancestors, in a beautiful city that has become a centerpiece of the Día de los Muertos celebration. 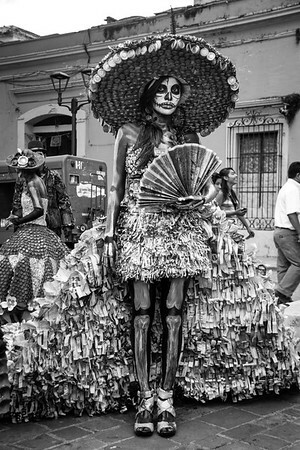 As these images are limited edition, please contact me to order or if you have any questions or if you would like to see a larger collection of color and black and white images from around Oaxaca. 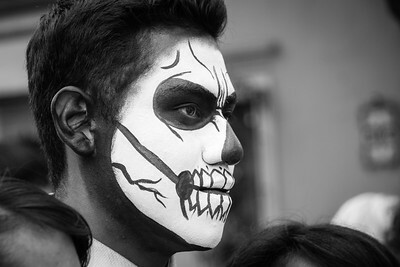 A collection of Día de los Muertos images captured in Oaxaca, Mexico. 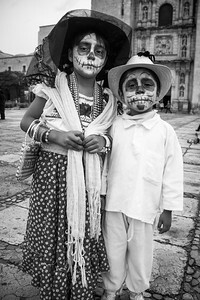 Día de los Muertos • Oaxaca, 2012 - Day of the Dead festivities in Oaxaca, Mexico.